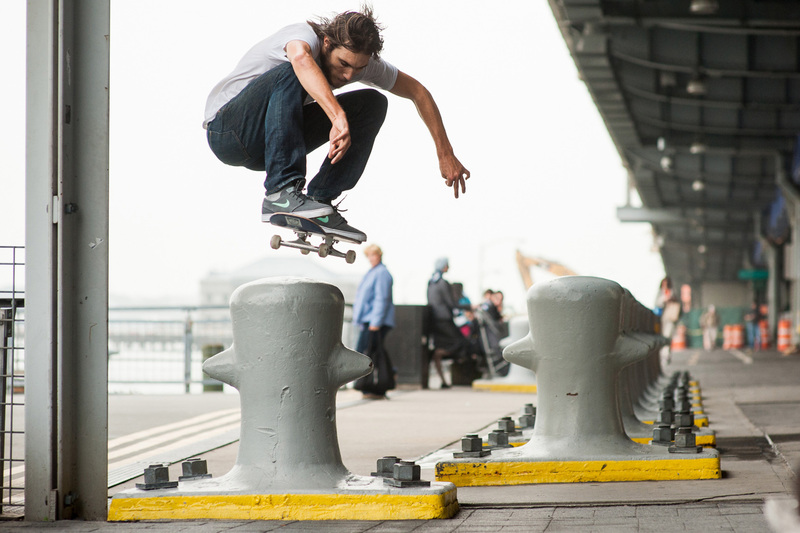 As the son of skateboard legend Steve Olson, Alex Olson has worked hard to make a name for himself independent of his legacy and had cemented himself within the same realm at a young age, skating for both Vans shoes and Girl Skateboards. Securing his repute within skate culture, he has since become known for his notable work within photography and fashion as well. Last year, Alex launched his inaugural apparel collection Bianca Chandôn. Showcasing mass appeal for a range of audiences beyond the confines of skate culture, the brand quickly manifested into a streetwear favorite and even dropped an exclusive collection at Dover Street Market this past December. In addition, the Supreme-affiliate also made a surprising debut of a second label, Call Me 917. Taking a more skate-centric approach, the new imprint offers a range of decks as well as graphic tees. Far from slowing down anytime soon, Bianca Chandôn further engrained itself within contemporary culture with the release of a debut album, Best of Friends, under in-house record label ‘& Co.’ As a largely experimental project featuring Alberto Bof, Paul T and Olson himself, Alex’s diverse range of ventures has proven his proclivities as a creative powerhouse.